* Huge thanks to our contributors: Lynn Turner, Guest, and Sydney Flaire! 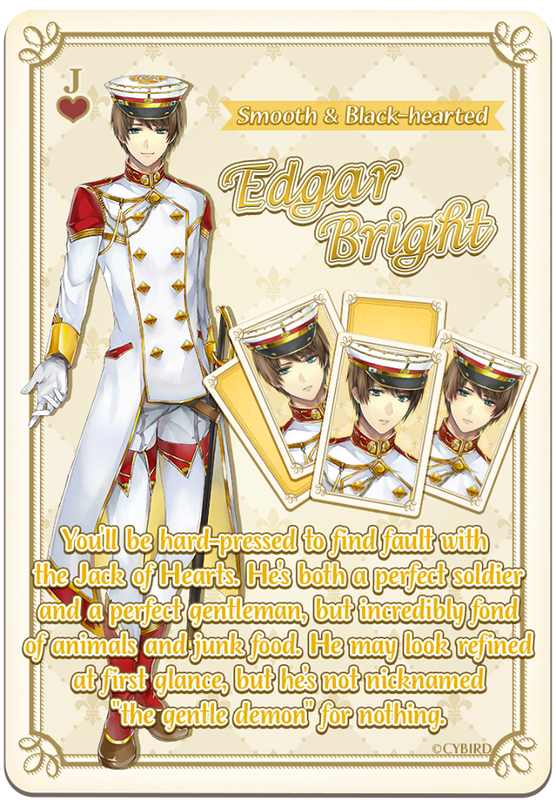 Do NOT upload ANY of the CGs for Edgar's route in the comments. While we would love the opportunity to share the CG love, we must adhere to the developer's guidelines. Want to support us? Buy us coffee! * All responses in Chapter 1 offer +4 / +4 responses, so you can choose whichever you wish. Requires 3 Keys to His Heart - "A Gray Colored Life"
 "I like you too, Edgar." "Childish things can be fun." Available After Completing 2 Endings - "Title"
Requires 300 Magic Stones - "title"
 "So I'm just a pet?" "Edgar, is that what you want?" Requires 300 Magic Stones - "Sky Blue, a Blue Lid"
 "I decided not to go." "I like when you tease." Requires 300 Magic Stones - "Golden Drops"
Requires 300 Magic Stones - "A Rainbow Colored Life"